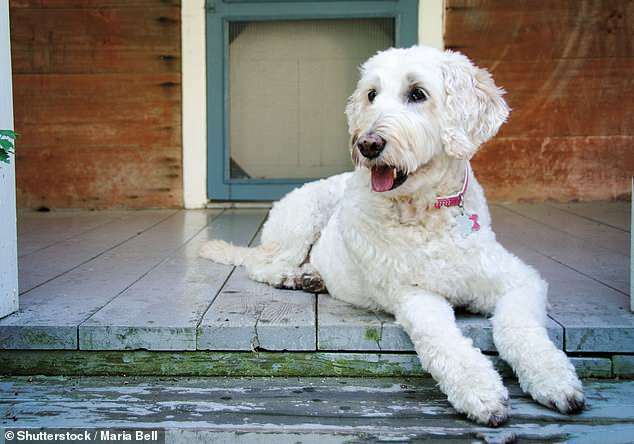 An international animal welfare activist has branded designer dogs such as Labradoodles as ‘Frankenstein’ animals created by ruthless breeders and criminals. Madeline Bernstein, head of an animal welfare charity in Los Angeles, has written a book which she says is ‘an expose into the lurid and very often criminal world of cross breeding’. The designer dogs have become incredibly popular because thy have attracted the attention of celebrities such as Jennifer Aniston, Tiger Woods and Christie Brinkley. Supermodel Elle MacPherson was one of the first celebrities with a labradoodle when she bought Bella in 2004. Graham Norton and Jeremy Clarkson have also owned designer dogs. Australian dog breeder Wally Conron ‘invented’ the Labradoodle in the late 1980s, when he crossed a Labrador and a Poodle. At the time, he was working as the breeding manager for the Royal Guide Dog Association of Australia when he received an unusual request from a woman in Hawaii.